Destroying the planet—with malice aforethought, with only the most immediate profits on the brain, with only your own comfort and wellbeing in mind—is the world's largest criminal enterprise. In the case of the terrarists—and here I’m referring in particular to the men who run what may be the most profitable corporations on the planet, giant energy companies like ExxonMobil, Chevron, ConocoPhillips, BP and Shell—you’re the one who’s going to pay, especially your children and grandchildren. You can take one thing for granted: not a single terrarist will ever go to jail, and yet they certainly knew what they were doing. It wasn’t that complicated. In recent years, the companies they run have been extracting fossil fuels from the Earth in ever more frenetic and ingenious ways. The burning of those fossil fuels, in turn, has put record amounts of carbon dioxide (CO2) into the atmosphere. Only this month, the CO2 level reached 400 parts per million for the first time in human history. A consensus of scientists has long concluded that the process was warming the world and that, if the average planetary temperature rose more than two degrees Celsius, all sorts of dangers could ensue, including seas rising high enough to inundate coastal cities, increasingly intense heat waves, droughts, floods, ever more extreme storm systems and so on. None of this was exactly a mystery. It’s in the scientific literature. NASA scientist James Hansen first publicized the reality of global warming to Congress in 1988. It took a while—thanks in part to the terrarists—but the news of what was happening increasingly made it into the mainstream. Anybody could learn about it. Those who run the giant energy corporations knew perfectly well what was going on and could, of course, have read about it in the papers like the rest of us. And what did they do? They put their money into funding think tanks, politicians, foundations and activists intent on emphasizing “doubts” about the science (since it couldn’t actually be refuted); they and their allies energetically promoted what came to be known as climate denialism. Then they sent their agents and lobbyists and money into the political system to ensure that their plundering ways would not be interfered with. And in the meantime, they redoubled their efforts to get ever tougher and sometimes “dirtier” energy out of the ground in ever tougher and dirtier ways. The peak oil people hadn’t been wrong when they suggested years ago that we would soon hit a limit in oil production from which decline would follow. The problem was that they were focused on traditional or “conventional” liquid oil reserves obtained from large reservoirs in easy-to-reach locations on land or near to shore. Since then, the big energy companies have invested a remarkable amount of time, money and (if I can use that word) energy in the development of techniques that would allow them to recover previously unrecoverable reserves (sometimes by processes that themselves burn striking amounts of fossil fuels): fracking, deep-water drilling and tar-sands production, among others. They also began to go after huge deposits of what energy expert Michael Klare calls “extreme” or “tough” energy—oil and natural gas that can only be acquired through the application of extreme force or that requires extensive chemical treatment to be usable as a fuel. In many cases, moreover, the supplies being acquired like heavy oil and tar sands are more carbon-rich than other fuels and emit more greenhouse gases when consumed. These companies have even begun using climate change itself—in the form of a melting Arctic—to exploit enormous and previously unreachable energy supplies. 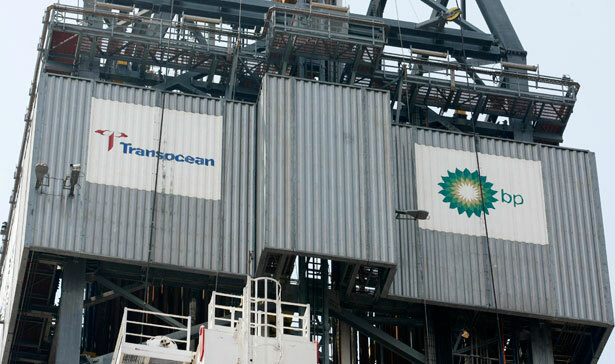 With the imprimatur of the Obama administration, Royal Dutch Shell, for example, has been preparing to test out possible drilling techniques in the treacherous waters off Alaska. Their prior knowledge of the damage they are doing is what should make this a criminal activity. And there are corporate precedents for this, even if on a smaller scale. The lead industry, the asbestos industry and the tobacco companies all knew the dangers of their products, made efforts to suppress the information or instill doubt about it even as they promoted the glories of what they made, and went right on producing and selling while others suffered and died. And here’s another similarity: with all three industries, the negative results conveniently arrived years, sometimes decades, after exposure and so were hard to connect to it. Each of these industries knew that the relationship existed. Each used that time-disconnect as protection. One difference: if you were a tobacco, lead or asbestos exec, you might be able to ensure that your children and grandchildren weren’t exposed to your product. In the long run, that’s not a choice when it comes to fossil fuels and CO2, as we all live on the same planet (though it's also true that the well-off in the temperate zones are unlikely to be the first to suffer). I am asking for the most massive peacetime commitment of funds and resources in our nation's history to develop America's own alternative sources of fuel—from coal, from oil shale, from plant products for gasohol, from unconventional gas, from the sun…. Just as a similar synthetic rubber corporation helped us win World War II, so will we mobilize American determination and ability to win the energy war. Moreover, I will soon submit legislation to Congress calling for the creation of this nation's first solar bank, which will help us achieve the crucial goal of 20% of our energy coming from solar power by the year 2000. As a symbolic gesture, Carter had thirty-two solar panels installed on the White House. (“A generation from now, this solar heater can either be a curiosity, a museum piece, an example of a road not taken, or it can be a small part of one of the greatest and most exciting adventures ever undertaken by the American people: harnessing the power of the sun to enrich our lives as we move away from our crippling dependence on foreign oil.”) As it turned out, “a road not taken” was the accurate description. On entering the Oval Office in 1981, Ronald Reagan caught the mood of the era perfectly. One of his first acts was to order the removal of those panels and none were reinstalled for three decades, until Barack Obama was president. With their staggering profits, they could have decided anywhere along the line that the future they were ensuring was beyond dangerous. They could themselves have led the way with massive investments in genuine alternative energies (solar, wind, tidal, geothermal, algal and who knows what else), instead of the exceedingly small-scale ones they made, often for publicity purposes. They could have backed a widespread effort to search for other ways that might, in the decades to come, have offered something close to the energy levels fossil fuels now give us. They could have worked to keep the extreme-energy reserves that turn out to be surprisingly commonplace deep in the Earth. If that isn’t a terrorist—or terrarist—attack of an almost unimaginable sort, what is? If the oil execs aren’t terrarists, then who is? And if that doesn’t make the big energy companies criminal enterprises, then how would you define that term? For the LGBT population, immigration reform is falling short of "comprehensive." Read Aura Bogado's take.